Make a date for your next workout! Do you have trouble getting to your workout some days? You know, those days when even doing laundry seems more appealing. What do you do on those days? Well, one option is to enlist the help of a workout partner like a friend, family member, or an organized group you join every so often. Meeting someone else for a workout will get you out the door, and I’ll bet that once you get started you’ll work harder than you would have if you had worked out on your own! Sometimes it’s the extra push or the structure that we need, while other times it’s just the company we want. Depending on your objectives, you will want to carefully choose your workout partner(s). Your goals, fitness levels, and needs are important factors to consider. Regardless, being around others and engaging with them while doing your activities gives you the emotional boost that you need. It is a win-win situation since you achieve your goal for the physical activity and nourish your soul at the same time! 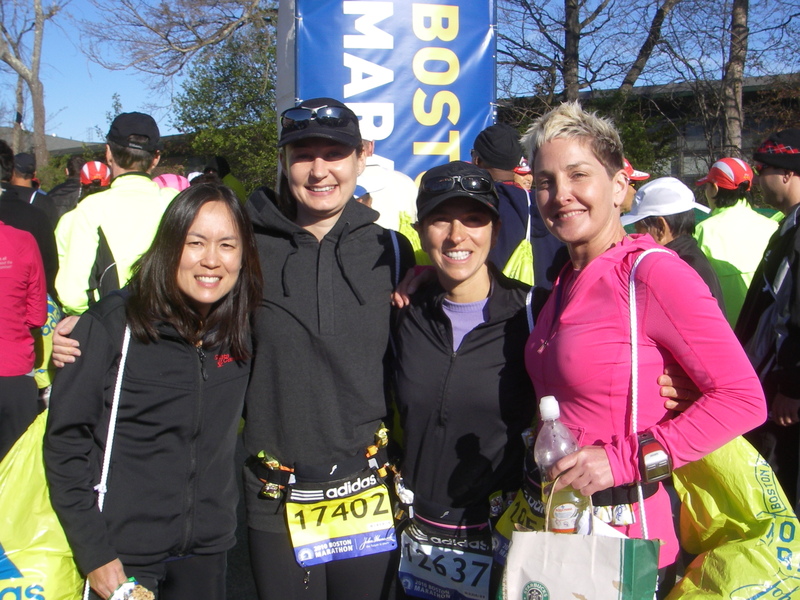 After countless hours training, we ran Boston Marathon together, 2010. 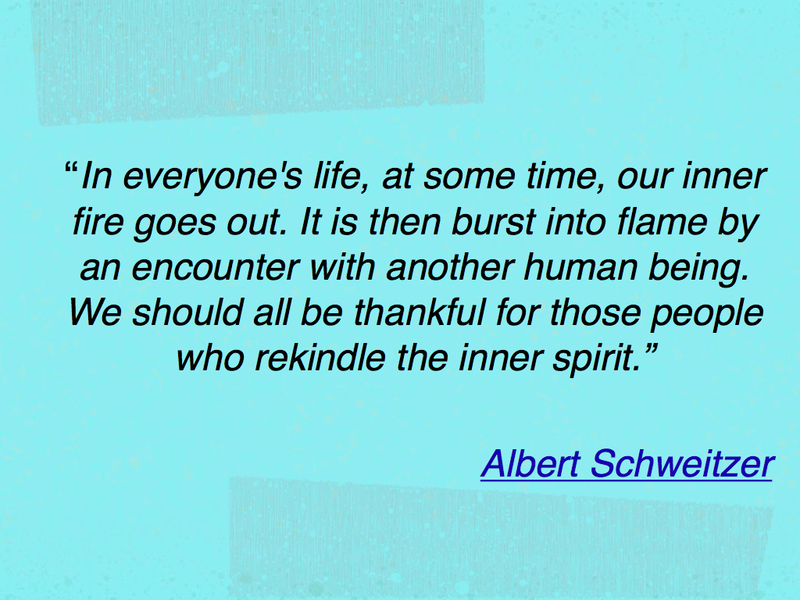 As human beings, experiencing this kind of social connection enhances our wellbeing and leads to more enthusiasm, aliveness and energy in our lives. Feeling renewed, I have more patience and time for others in my life after my social workouts! Keep in mind that working out with others is a relationship that involves give-and-take. Sometimes your partner is going to need more from you. Sometimes one training partner just won’t do; and sometimes you just can’t find someone with similar goals. In these cases, look beyond your current friendships. For instance, consider joining a group like Team in Training, or a bootcamp, CrossFit, or hot yoga class. There, you will find people with similar interests and goals. 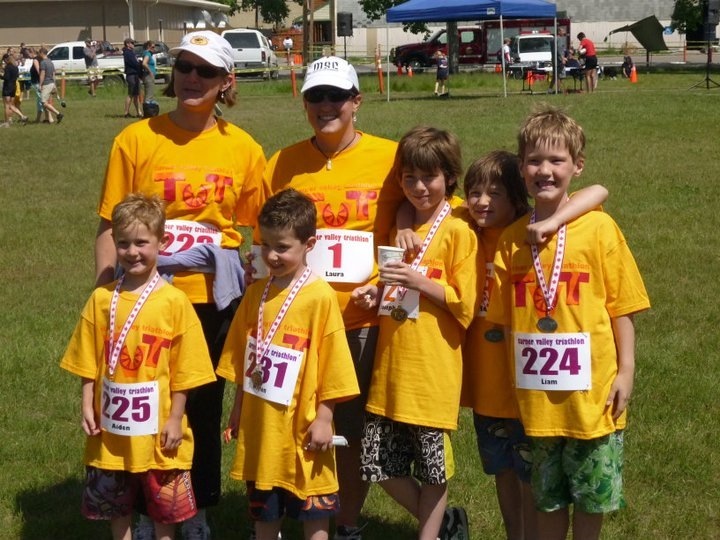 Our friend, Laura Corbett, credits Team in Training for helping her achieve her goal of running marathons. The support she received while training and during the races was incredible. 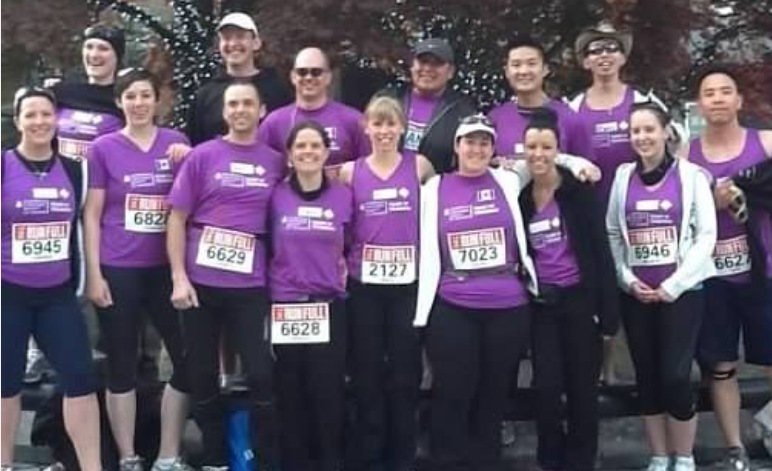 Through Team in Training she has found a strong support system and a kinship that lasts beyond race day. Laura with her sister and their kids. Team in Training is a family affair! Many people rely on the social boost to stay active. 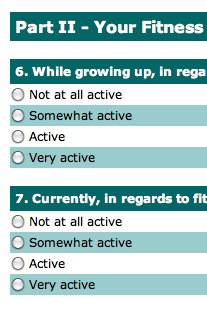 In the summer of 2011, we asked friends, family and whoever would participate to fill out an informal survey about their fitness routines and motivation. At the time, we had no idea where the survey was going and that it would result in this blog. Our objective was to learn about what people did to get motivated and stay committed to their fitness activities. A total of 84 people responded and more than 80% of them were active adults who had been exercising for 5 or more years. Although the sample was small, the lessons imparted from these people are very valuable. Enjoying the social opportunities with others during exercise. 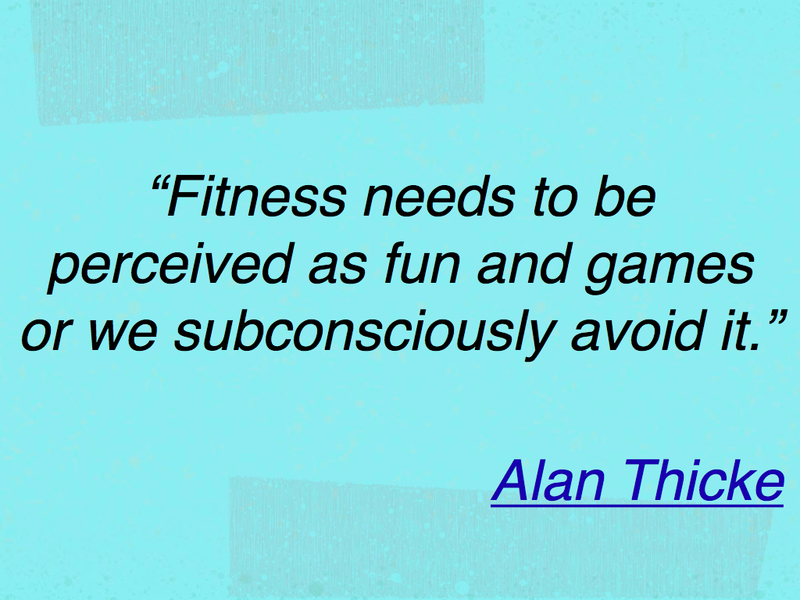 In particular, today we want to highlight what they said about the importance of the social side of exercise. We’ll get to the other themes in future posts. Find an activity you enjoy doing and find someone to do it with. Make it part of your lifestyle and share it with your family to motivate each other. Make plans to have fun with someone, i.e. daily walk or travel for event together. Train with friends or family with similar goals and schedule. Hang around people who like to be active or who will help motivate you. Be accountable to someone else if you are not self-motivated. Have a good support network to help make time for your fitness and healthy living. Sign up for something (either classes that you have to go to every week, or a race/event to train for). There are also hiking clubs, track and field clubs, yoga retreats, and so many other opportunities to be active and connect with others. Just search in your area for these organizations. So, no more excuses. The laundry can wait! This week’s recipe: Red Lentil Curry Soup. This entry was posted in Weekly Blogs and tagged coaching, connections, fun, motivation, organized activities, sharing, socializing, training groups. Bookmark the permalink.